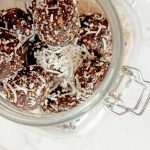 These Chocolate Bliss Balls are delicious and with only 5 ingredients they can easily be ready to go in under 20 minutes. 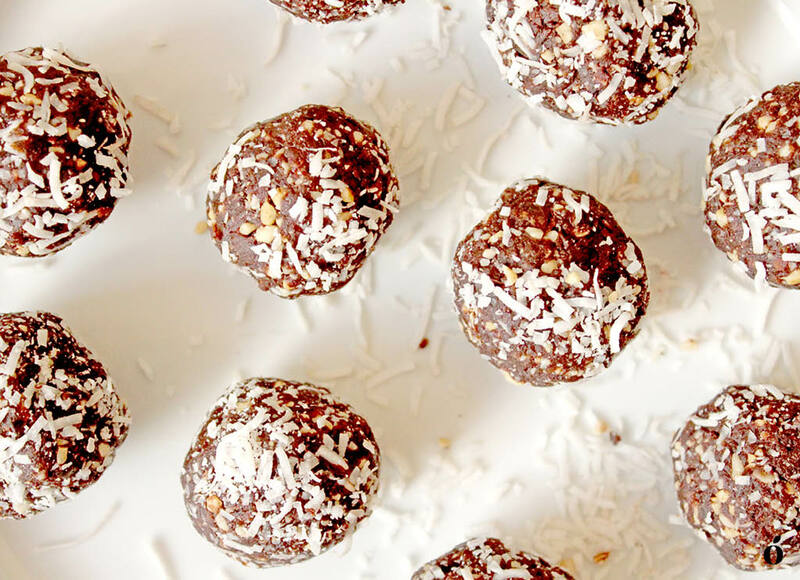 Most people enjoy a good bliss ball, and for good reason – they’re extremely versatile and can be intended as indulgent treats, protein snacks or healthy alternatives to truffles and rum balls. 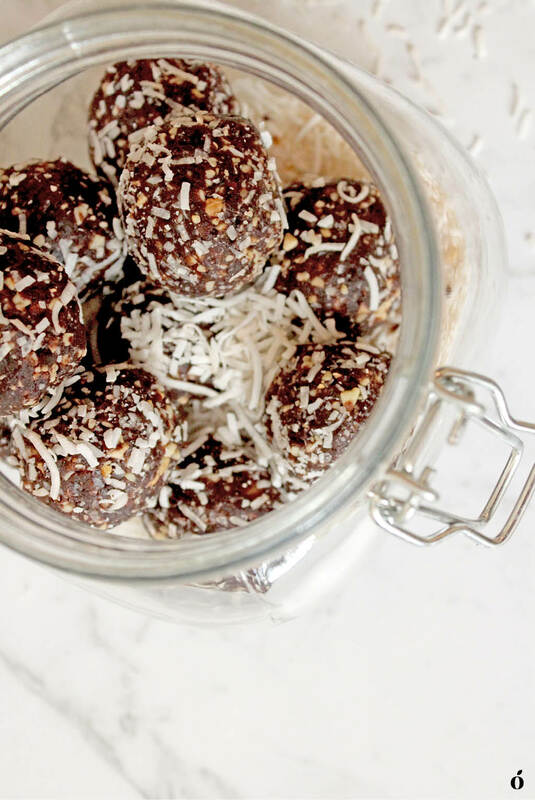 This recipe is a base recipe including only dates, cashews, cacao powder and desiccated coconut, and the wonderful thing about it is that you can add anything you like, so have fun and adapt it to suit your flavour preferences. Personally, the best thing about bliss balls is that they’re a tasty little energy boost, usually full of fibre and healthy fats. I like to have them as a work-out snack (for before, during, or after) and they’re perfect to take on a hike, long drive, etc. Store them in the pantry for a softer consistency and in the fridge or freezer for a fudgey/brownie consistency. If you re-create this recipe, be sure to post a photo to Instagram and tag @lemonthy.me as I’d love to see your creations. Soak your cashews for approximately 6 hours. You can skip this step as the bliss balls will still form with unsoaked cashews, however, they will be a little dryer. Add the dates, cashews and cocoa powder into a food processor or high-speed blender and process until a fudgy consistency is formed. Roll your mixture into 1 tablespoon-sized balls. 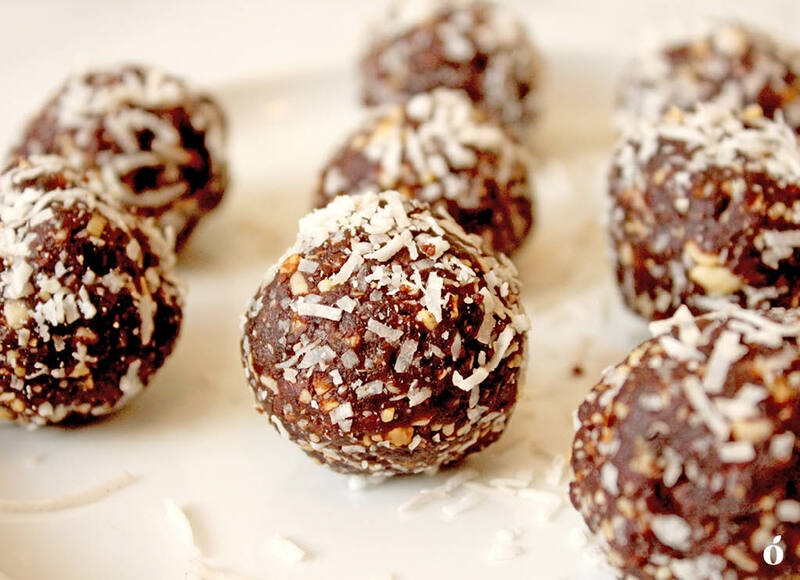 Coat the naked bliss balls in desiccated coconut. Refrigerate to cool and firm up or enjoy straight away.